This post is actually from my old blog site that I had last year. But, because my old blog site died and went to blog heaven, I decided to "repost" this. I hope you like it and this is not something I am making up but the way things are really done here in Germany. Before I moved to Germany I took some lessons in the German language and I studied a bit about Germany and the German people. But, when I got to Germany I found out that there were other things to learn about in order to live here and one of those things is trash. Many people have asked me about learning the German language but I don't think anyone has ever asked me if I have learned about the German trash system. In Germany there are a number of different kinds of trash. 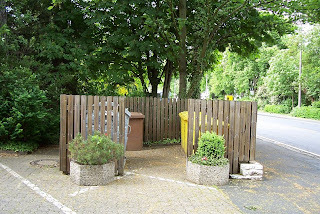 At the bottom of this blog I have included a picture of some of the trash cans for the apartment building where I live. There are trash cans for recyclable trash (yellow containers), non-recyclable trash (metal container), and biodegradable trash (brown container); but that's not all. There is also separate trash collection for glass, which must be separated by the glass color (white, brown, or green), and there is also a separate trash bin for paper. So that is five different ways you can dispose of your trash. But things don't stop there. Just when you think you have earned a degree in trashology you still need to master the trash calendar. The trash calender is a booklet that tells you what kind of trash is which and when it will actually be collected. This trash calendar has nine listings for the different kinds of trash to be picked up because it includes a schedule for things like appliances that you might throw away. 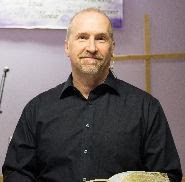 This may sound a little bit funny to hear about trash on a missionary blog site but it is just one of the interesting things you learn about when you live in another country. Maybe instead of just having language schools for missionaries there could be trash schools to help with the trash transition!